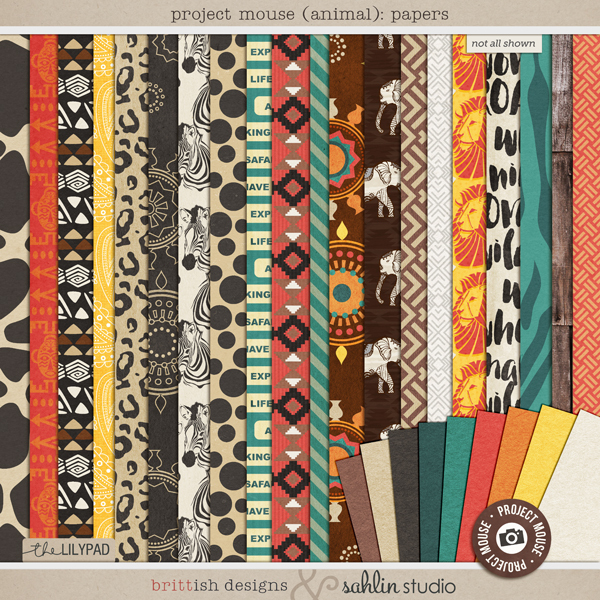 For this installment we bring you Project Mouse (Animal). 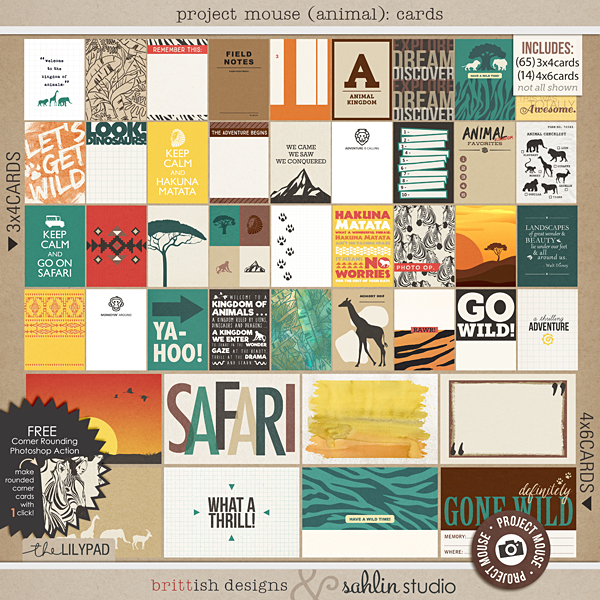 Does your family go wild over animals? Or maybe you have an adventurous little explorer in your midst? 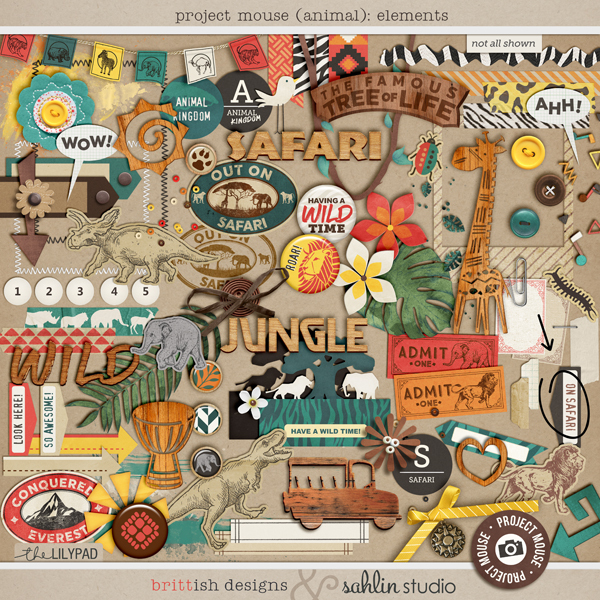 With Project Mouse (Animal), you can easily document your family's expeditions! 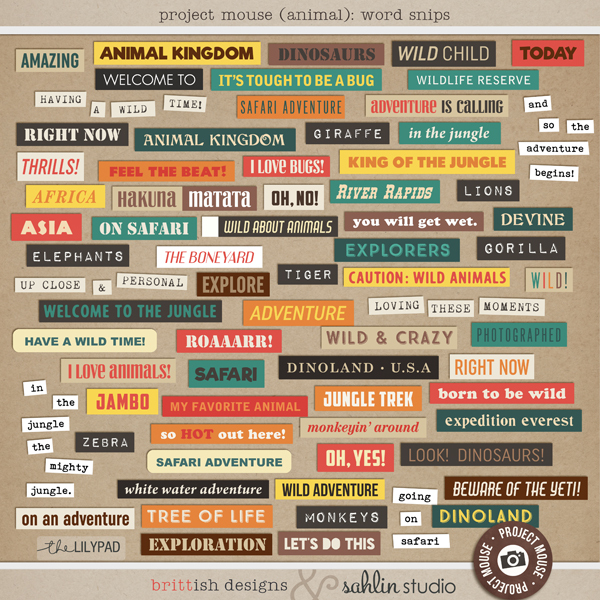 Whether it's a magical adventure in the animal kingdom, a wild African safari, a thrilling day at the city zoo, or even documenting your child's favorite stuffed toy, this jam-packed collection is filled with warm colors, tribal prints, wood veneer, and fun graphics that will help you tell all your stories! 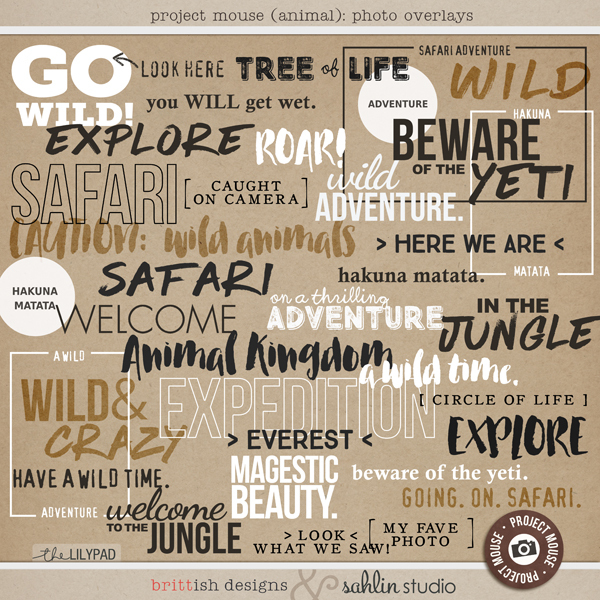 Perfect for layering on digi-pages, printed out for hybrid projects, or tucked inside your favorite pocket style album!